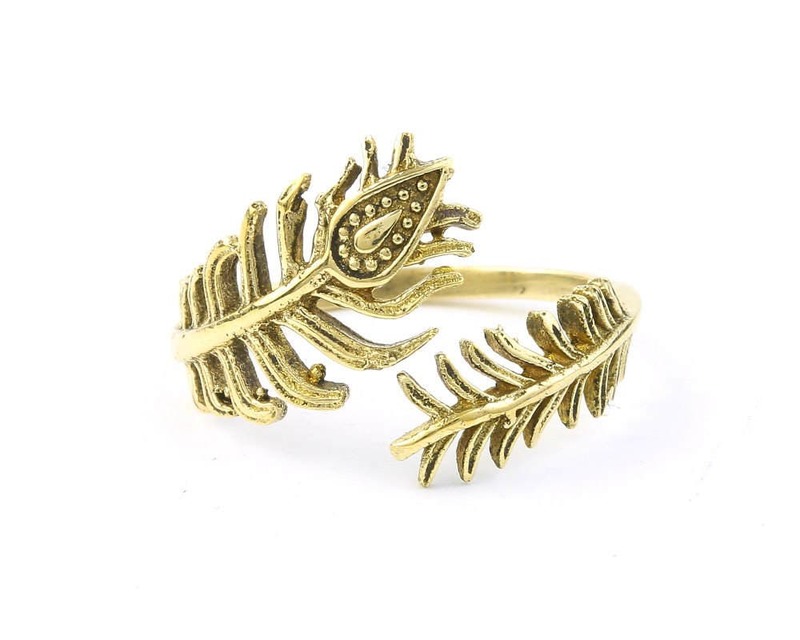 Wrap around brass peacock feather ring. Pairs nicely with other pieces. 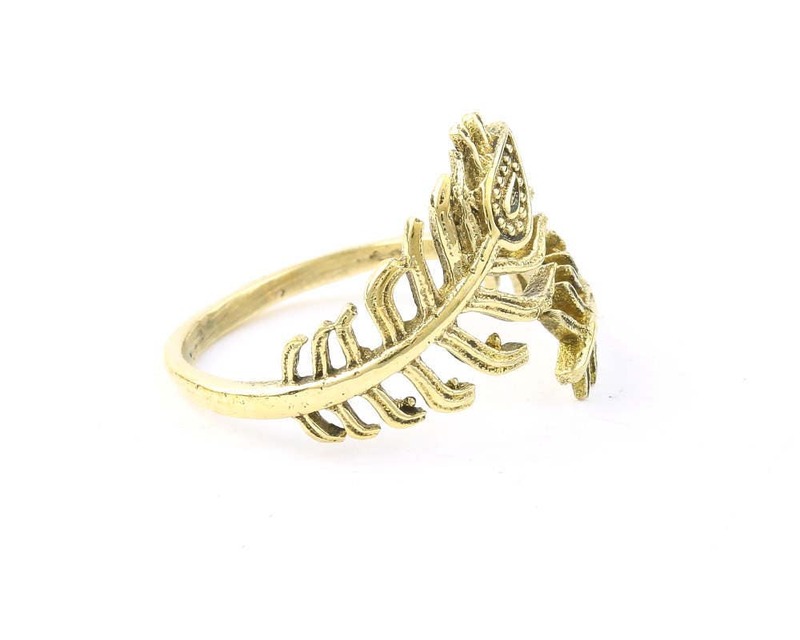 Pretty ring, not very sturdy, became weak as I tried to adjust the size. The ring was nicely packaged, had fast shipping and good customer service.